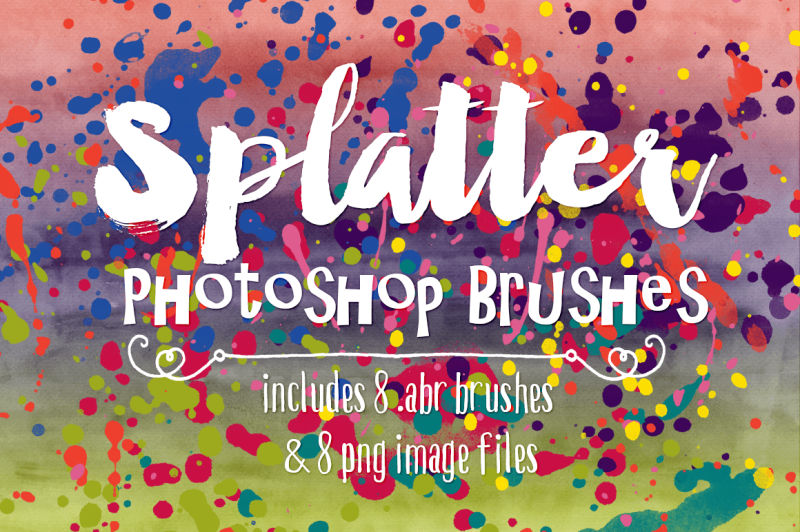 These fabulous Splatter Brushes are a great addition to any photoshop brushes collection. 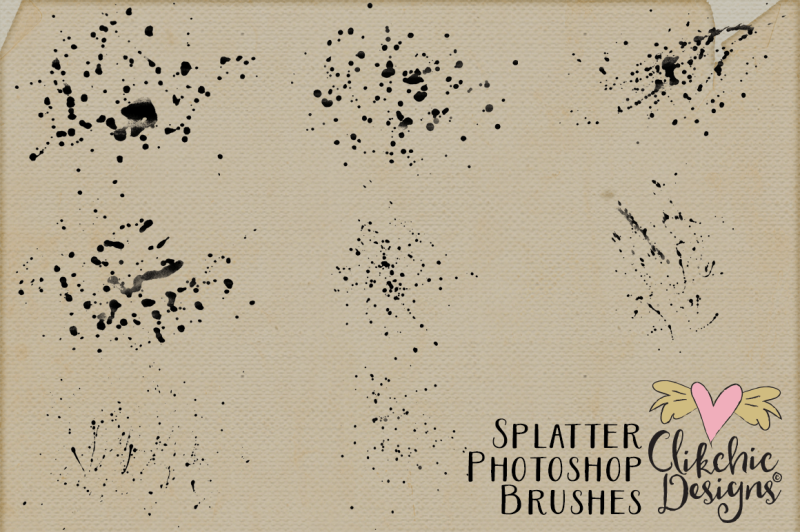 Included in the set are 8 different splatters in black and white .png format, as well as .abr brushes in legacy format for Photoshop up to version CS5 and larger size brushes for Photoshop CS6 and up. 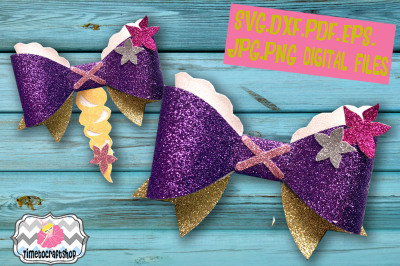 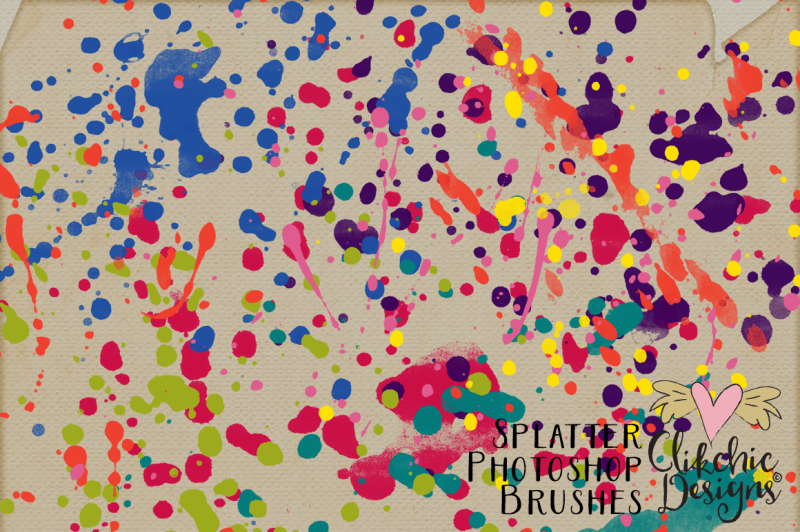 These Splatter brushes are great for some creative splatters or just some grunging up of you photos and creative projects.